Hello people, Today is the 18th day of auction at www.32auctions.com/jbwrshppaintings of the Men in Authority series: Higher than him. This series came to me through a vision God has shown me and had all men in uniform praising God, lifting his hands as a sign of reverence to the Most High. This is to allude that these officers and military personnel are telling you that they are respondents of a higher Power and they are not the last authority. Unfortunately, in many current events in New York City and beyond, some of these authority figures think they are the last authority and that is not the case. I just want to honor those men who have been serving this country, locally, regionally and internationally through the blood of Christ in a respectful manner. Thank you. Hands up II. (2012). 14″ BY 10″. Burnt etchings on wood. In this piece, I enjoyed making the markings of this officer’s upraised hand as He gave praises to God. He is basically surrendering and letting the Spirit of God come without interference, letting God do his work in His name. Today is the only day this piece will be held on 32auctions.com/jbwrshppaintings with a minimum bid of $432.00 . 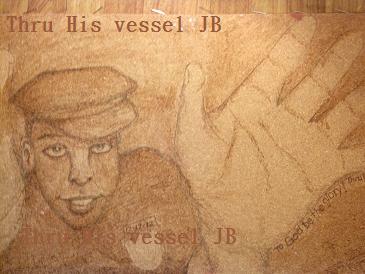 The highest bidder will receive a commisioned portrait, courtesy of Thru His vessel JB. 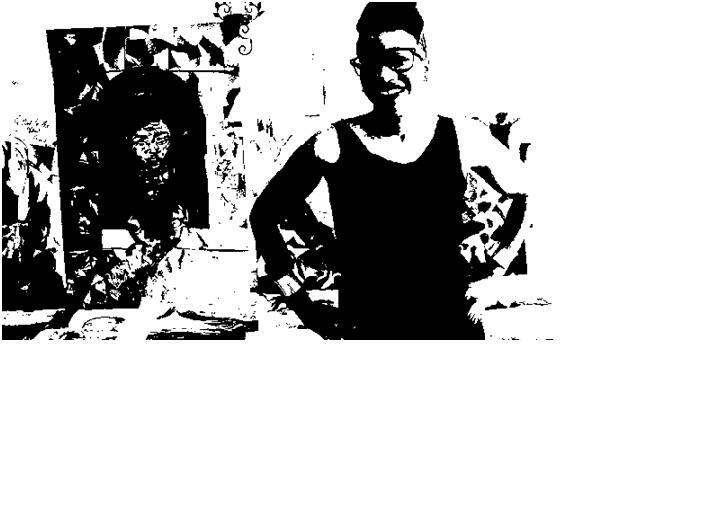 This portrait will be held in the 2016 art show. Thank you for your support, time and effort in making this auction a success. Please comment on this piece below. It really is appreciated!